Businesses & People I recommend & use myself. Have a horse that you need started, or he has an issue that needs to be worked out? 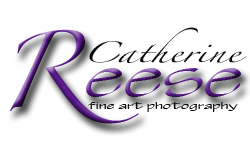 I highly recommend Chanel Reese for all things horses, she has a quiet patient way of getting results. ~She has started horses, trained them to be state and national champions! ~Turned horses with problem issues into willing respectful partners in the arena & on the trail ~She can also give basic tune ups & get your horse ready to go, so you can just get on & ride. ~She can show & sell your horse, thru her connections in the Rodeo & horse world. ~Does your horse have Pain issues? Need performance boost? With a natural product that works on horses (like acupuncture without the needles) Chanel can help & show you how to do it as well, so you can always have it with you to keep your horse at top level.